The OPC HDA Server for OLEDB makes accessing historical data easy! 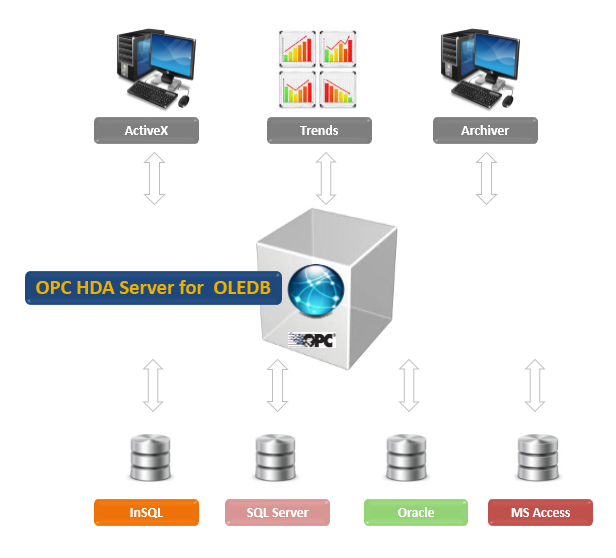 Integration Objects’ OPC HDA Server for OLEDB is a plug-and-play OPC Server software. It provides OPC HDA clients with full access to the history data archived in your databases. Using OLEDB providers, this OPC HDA Server enables OPC clients to read data from your database as well as perform update requests. The OLEDB OPC Server employs industry standards such as OPC and OLEDB. The objective is to build an open architecture for a standard way to share your data with third party applications and meet analysis and reporting needs. You can also use the OPC HDA Server for synchronization purposes between historians. This OPC Historian Server is a featured component of the OPC driver for databases. It is compliant with OPC HDA standard specifications. OPC HDA Server for OLEDB is a feature component of the OPC Driver for Databases.